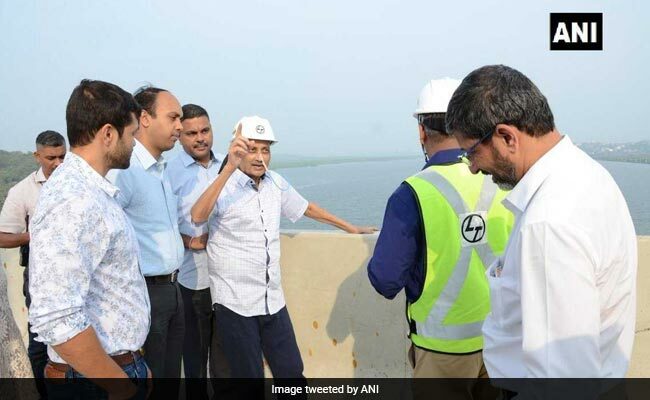 Goa Chief Minister Manohar Parrikar, who has been unwell for some time over a pancreatic condition, inspected a half-constructed bridge on Mandovi river on Sunday in his first public appearance since he spent months in hospital in Delhi. He had a tube in his nose and appeared to be walking with support. 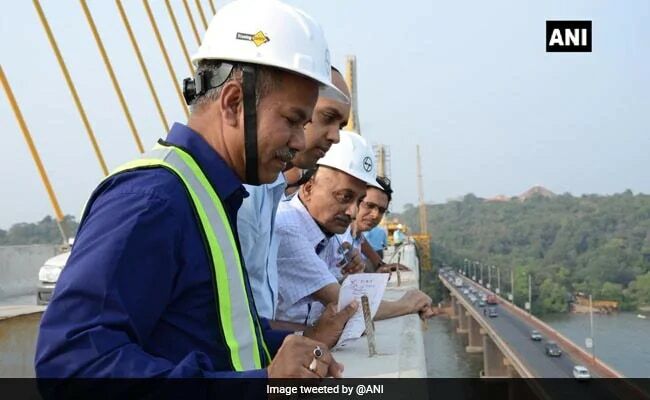 Mr Parrikar also inspected another bridge, over Zuari River, near Panjim. The chief minister, 63, has been recuperating from a surgery at his private home in Goa since October 14 and this is the first time he has moved out of the house, officials said. A senior functionary of the chief minister's office said Mr Parrikar travelled around 6 km from Porvorim to Merces to inspect the bridge, the third over the Mandovi. The bridge, which is expected to be completed next year, will connect Panaji to the rest of north Goa. Mr Parrikar got off his car at the site and discussed the progress of the work with officials of the Goa Infrastructure Development Corporation and contracting firm Larsen and Toubro, said the functionary. Two doctors were with him. The photo of the gaunt, visibly ailing chief minister drew criticism although officials said he wanted to visit the site as the bridge was his pet project. Former Jammu and Kashmir Chief Minister Omar Abdullah tweeted: "He has a tube inserted through his nose into his digestive tract. How inhuman to force him to continue working & doing photo ops. Why can't he be allowed to deal with his illness without all this pressure & tamasha?" BJP spokesperson Gaurav Bhatia criticised Mr Abdullah for his tweet.